History of this preschool: This school was created on July 4, 2009, which was funded by Grapes for Humanity (Canada). The classroom was set under the house of teacher Tuy Sokhom. Statistic record since the school open in the school year 2008-2009 to 2017-2018: 196 students (105 girls). As of Nomber 12, 2018, School Year 2018-2019, there is 13 students (7 girls). 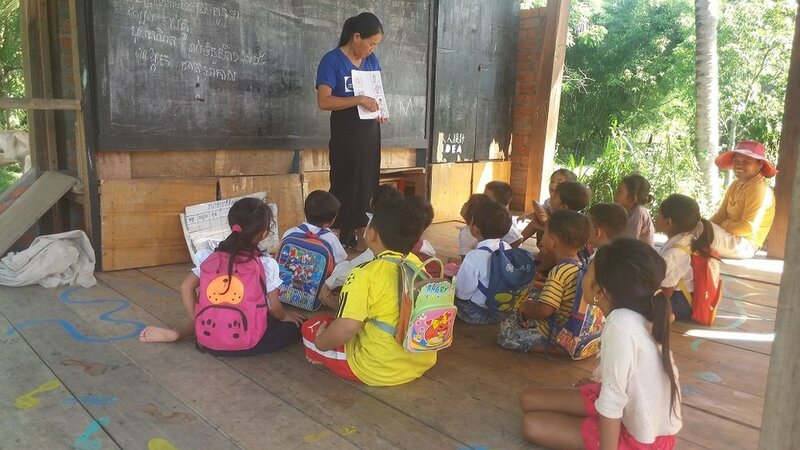 In March 2014, IDEA Foundation team and volunteers from Hong Kong funded and built the educational kiosk on the land of Teacher Sokhom. End of December 2018, the IDEA team and volunteers worked with local construction team to renovate this educational kiosk.